Here La am, live-blogging from starvation cleanse central. And let’s not get into my — ahem — testing of the leftover choc-dipped strawberries I’d prepared to sit atop pancakes for the JCCs as a Shrove Tuesday treat. However, all’s back on track this morning. But why does that track always seem so much easier to be back on in the morning, and so hard at 5 o’clock in the afternoon? Was told by Dr Liu at the centre yesterday that once I’m burdening the earth with six kilos less of my mass, he will give me my “eating plan”. Don’t get excited though, as La sneaked a peek at one last week and noticed los words “lebanese cucumber” featured prominently. Scanned and scanned for mentions of Toby’s Estate caramel slice and shepherds pie, to no avail. However, it’s not all sino-sludge, bone-crushing massage and 41 acupuncture pins here. 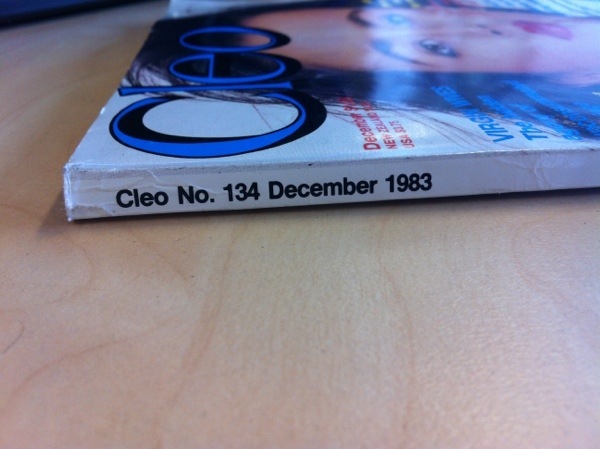 Each morning I get to entertain myself with gems such as this: a mint condition 1983 Cleo. L’article that caught my eye, of course, was “Superbodies — is perfection worth all the pain?” Ah, dunno…ask me when the 41st pin goes into my right shin. Here’s Linda, Heather, Christie and Jane going at it. Don’t you just love Linda’s white legwarmers? 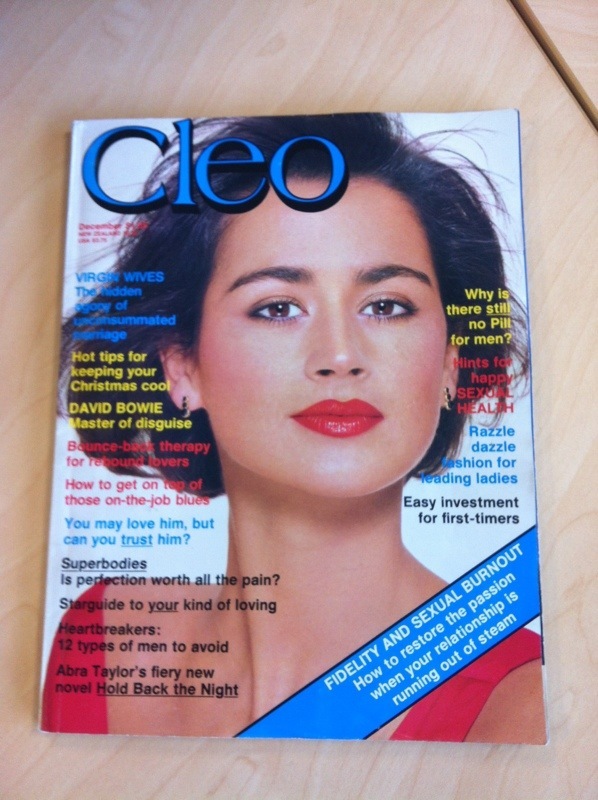 Apparently her astrologer helped her remain in tip-top shape for all those ’80s years of glittery Dynasty frocks. Personally, I’d be happy to borrow a few sets of her power-suit shoulder pads from back in the day — think they’d balance los hips out nicely. Then La could bid huí tóu jiàn to Dr Liu and my mugs of sino-sludge for-evuh.